Ships today if you order in the next 1 hours 11 minutes. 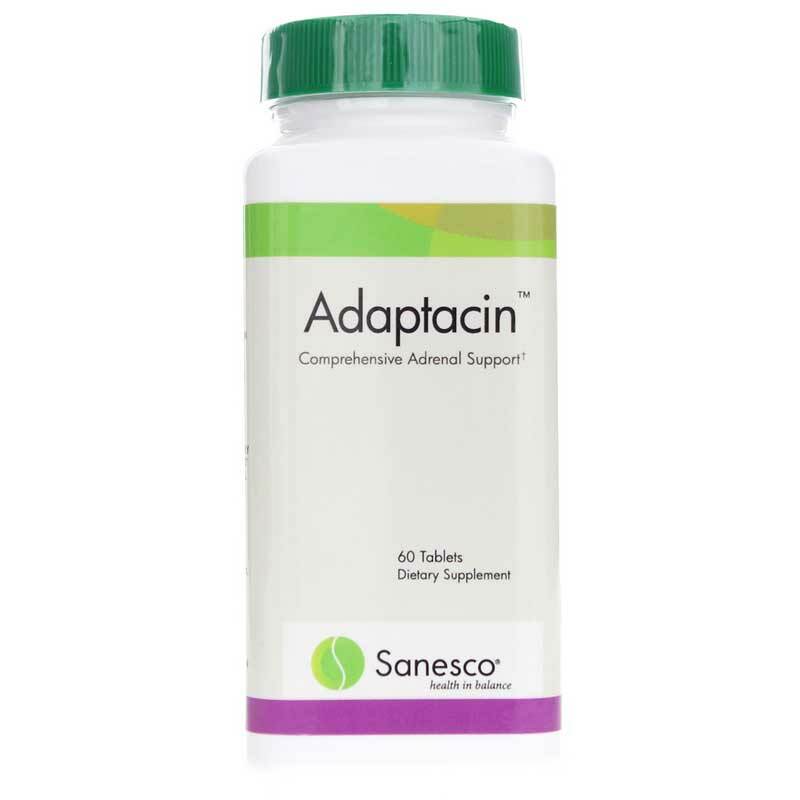 Adaptacin from Sanesco is a dietary supplement is a formula for patients in need of adrenal support. 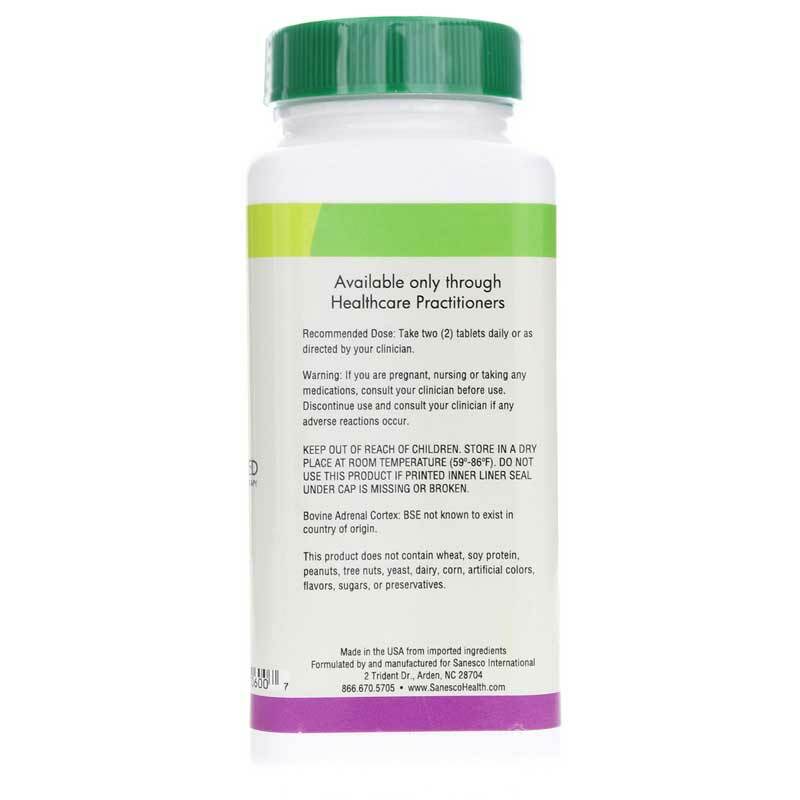 This product utilizes the highest quality, most scientifically-validated compounds currently available. All botanicals are standardized for maximum efficacy and are classified as adaptogens. The most bioavailable forms of nutrients are utilized. 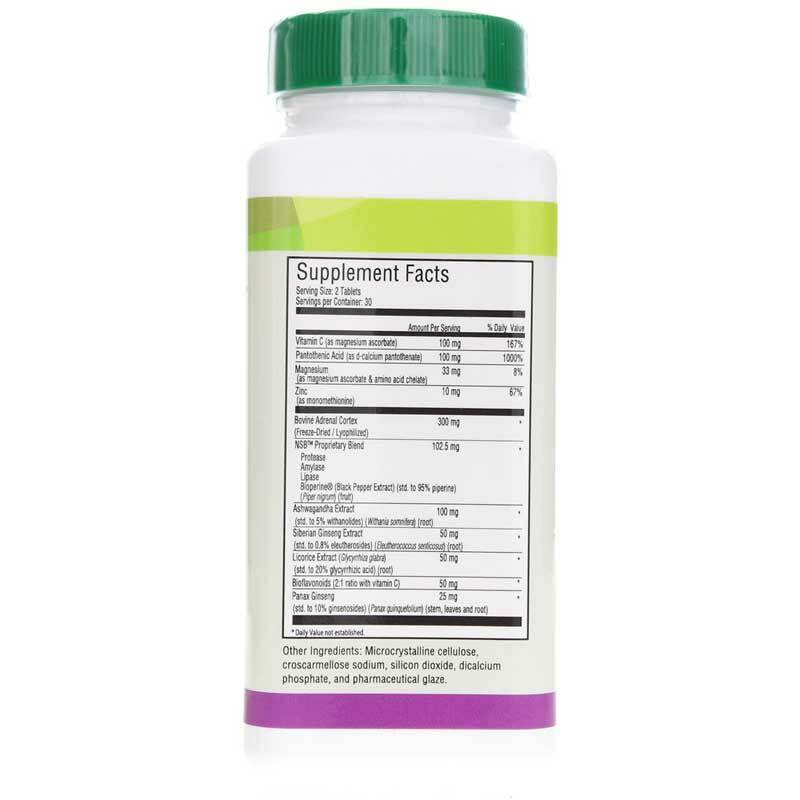 Adaptacins formula combines adaptogens and adrenal cortex glandulator to tonify the adrenal gland and support adrenal function. Adaptogens are a class of herbs used to support adrenal imbalance and symptoms of fatigue, decreased stamina, salt cravings, sugar cravings, decreased libido, lack of focus and concentration, and other signs and symptoms of adrenal stress. Other Ingredients: Microcrystalline cellulose, croscarmellose sodium, vegetable stearic acid, vegetable magnesium stearate, silicon dioxide, and pharmaceutical glaze. Contains NO: artificial colors, flavors, sugars or preservatives. Adults: Take 2 tablets daily, or as directed by your clinician. If you are pregnant, nursing, taking medications or have a medical condition, please consult your healthcare practitioner before taking any dietary supplement. Discontinue use and consult your clinician if any adverse reactions occur. Keep out of the reach of children.